A beautifully maintained blog on philately by Mr.B.Mansoor,Mangalore. The blogger is interested in SHIPS and BOATS. However the blog is containing all stamps, SCovers covering all countries. He has provided Guest Book in the blog for your comments. 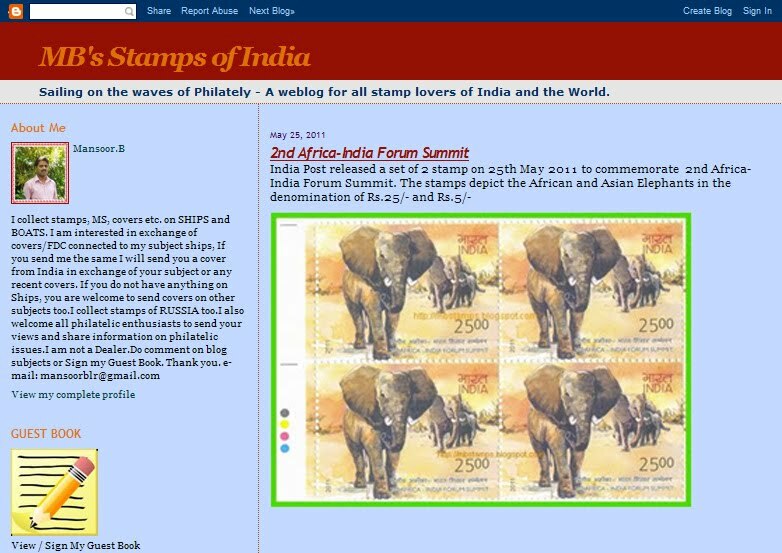 A good source of information and collection for the Philatelists/philatelic enthusiasts and indiapost officials.